We install all types of satellite dishes and carry a wide range of parts to ensure we can repair your system on the day we visit. 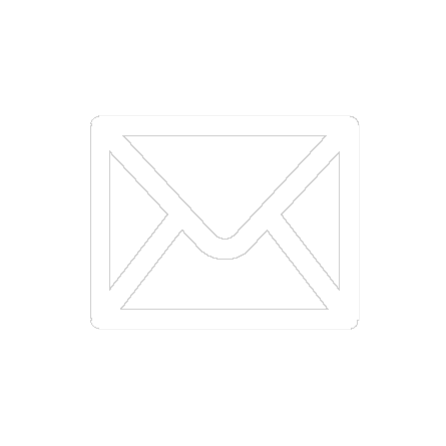 Aerial installations, replacement amplifiers and fault finding - We do it all. 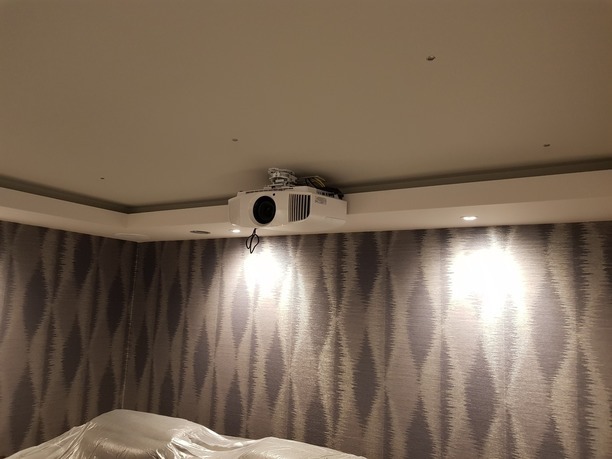 We can specify, supply and install a cinema system that is tailored to your requirements and budget. 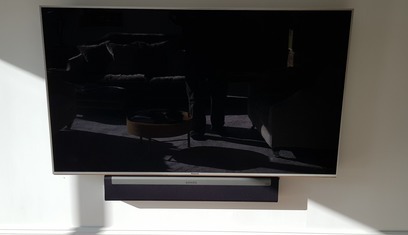 We can supply and install a wide range of brackets to ensure your TV is mounted in the correct position giving you the best viewing angle, we also supply a range of Sonos equipment to compliment your Tv setup. 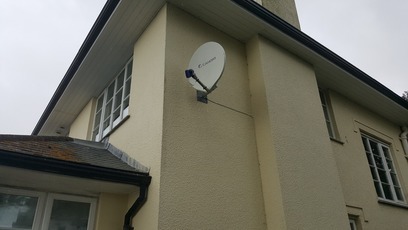 We have over 12 years of experience serving local businesses and residential customers of Truro, Cornwall aerial and Wi-Fi services have been installing and replacing aerial, satellite and Wi-Fi systems in Cornwall and the Truro area since the changeover to the digital service that has provided the public with multiple channels through platforms such as Sky, Freeview and Freesat. 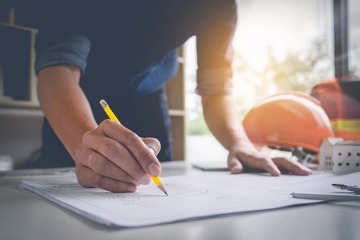 Our engineers have a wealth of local knowledge, this combined with our excellent customer service skills will guarantee 100 percent satisfaction, we understand that the options may be confusing but with our local knowledge and experience we can advise you as to which system will best suit your location and needs. Through constant training and gaining certifications we guarantee that our quality of work is always carried out to the highest standard. 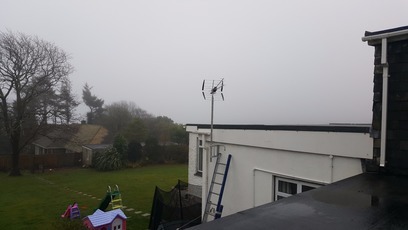 Our many aerial, Wi-Fi and satellite installation services are provided throughout Cornwall and ensure that the local businesses and residents of Truro will be guaranteed a reliable quality aerial installation service from us, that will meet the demands of today’s usage and be future proof for tomorrows technology. 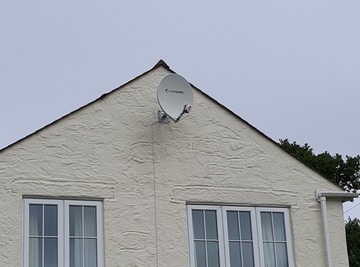 Finding a TV aerial and satellite installation business in Truro can be easy but finding a business that will carry out an installation that will meet your needs and be of a quality that will last in the Cornish weather is another matter. 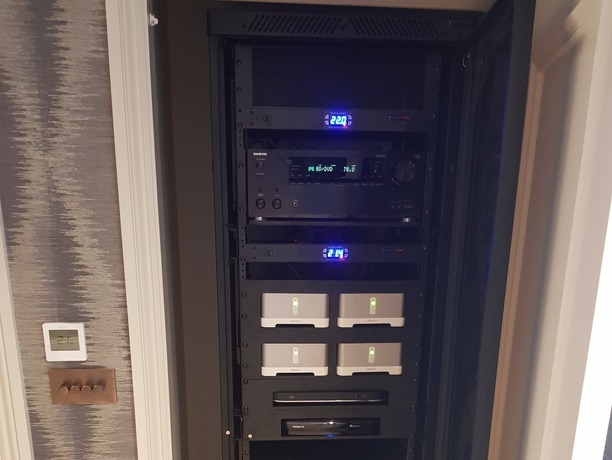 Our experienced engineers will not badly install your aerial system or use poor quality products, we pride ourselves on installing systems that last and function well. 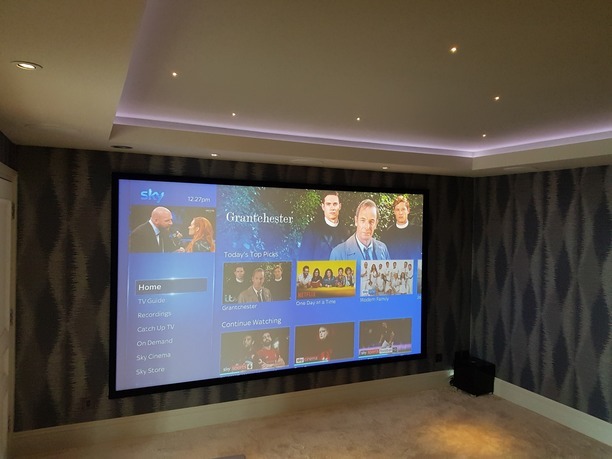 We offer a flat screen Tv mounting service that will improve the look of your Tv and increase the viewing angle, our brackets will stay level and not cause problems like some high street brackets. 99% of jobs can be fixed on the day of the appointment, due to our local knowledge of the Truro area we will have the correct equipment ready for your job and always have alternative solutions on board the van..
Our engineer has lots of experience in the Truro area and can advise on the best system for you location and will always survey the property with a spectrum meter to guarantee a perfect picture. 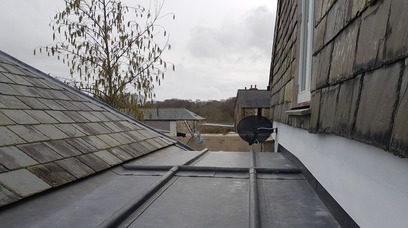 We offer free estimates for any aerial installation in Truro - domestic or commercial, our skilled engineer can advise and install indoor and outdoor aerials with the best quality signal. 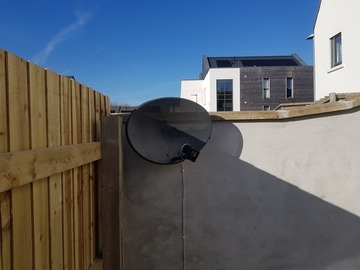 We can survey your building site or home so you know where your dish will need to be located, your cabling can then be run to that location, minimizing work once the build is complete. 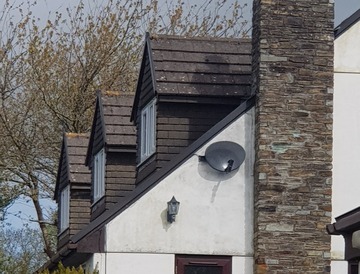 Do you live in an exposed location we can install a fibreglass dish that will stand the test of time again the sea air and storms of Cornwall. 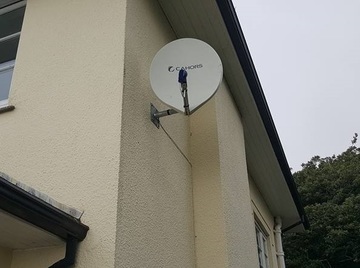 Have Sky refused your installation due to the height or accessibility of your dish, we are specialists at working at height and can complete the installation with minimal fuss. Neil sorted out my aerial problem today. His company has a 5 star rating and I can only agree. Problem sorted, minimal fuss and clearly knows what he is talking about, along with great customer care. You'd be mad to look elsewhere if he is available to help you. 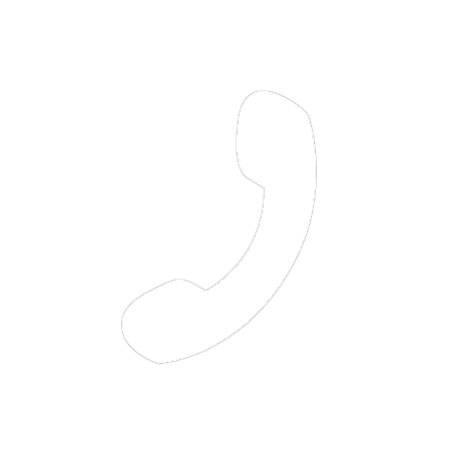 Really good service and contact. Engineer wasn't able to site my satellite dish to get a signal, not his fault, it was that large trees on my land were blocking the signal. Instead of calling it a day the engineer suggested alternatives and got me sorted. Really good service. Thanks.